Fox Box: We’ve just released five goblins with a completely different aesthetic from our current range. 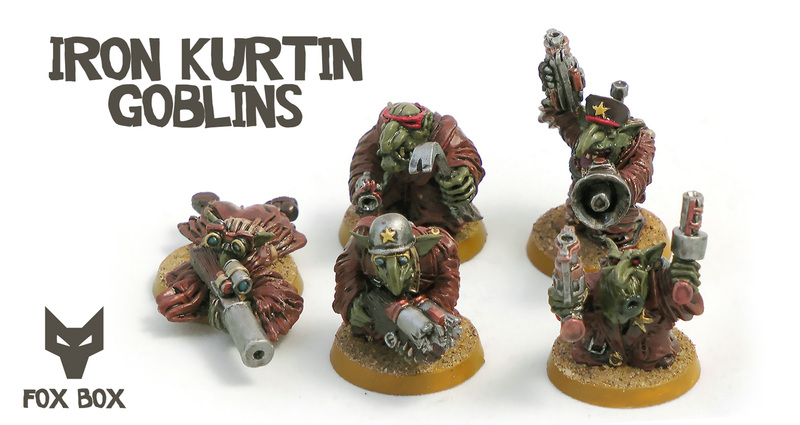 We’re calling them Iron Kurtin Goblins because, well, there’s a certain something about them. They were sculpted by our most excellent friend Nathanael and they’re available in our shop now. 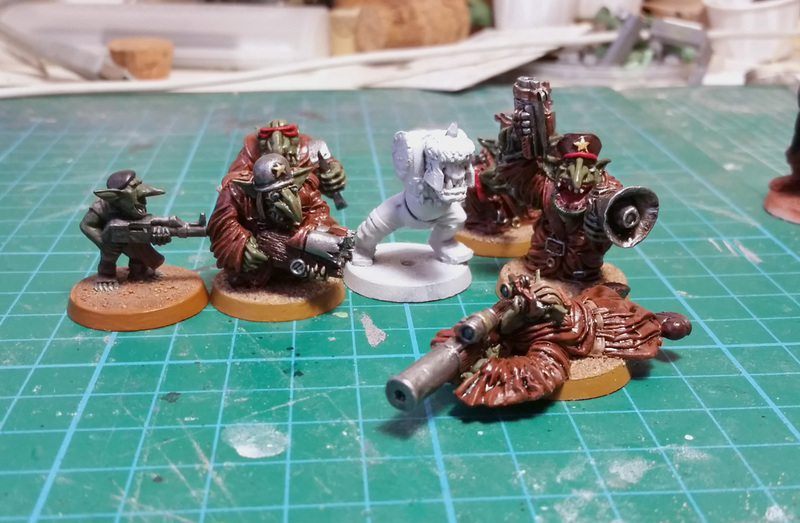 “It’s cold in the old country, tovarich” They come with 25mm bases so perhaps that gives you a general idea of their scale but here they are compared to a 40K Ork: They’re clearly large enough to boss around some of the scrawnier goblins in our range but easy prey for larger greenskins.